What does 'author branding’ mean? To 'brand’ something means to define its particular assets in order to form a unique and memorable image or impression. As an author, branding yourself means selecting the strengths, aims and characteristics that make you (and your work) interesting and appealing to readers. The purpose of this is to make you distinctive, in a world overrun with talented up-and-coming authors. 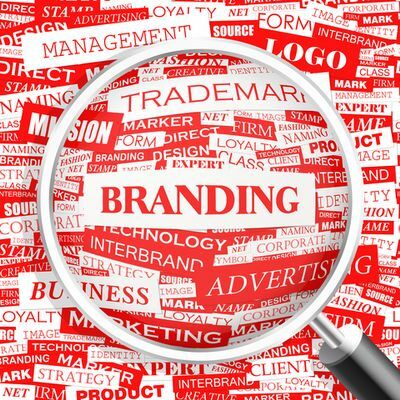 Why is branding essential for the self-publishing author? As a self-publishing author, you will be responsible for the majority of your book’s marketing and publicity, so you need to find a way to make your work stand out. Establishing yourself as a unique brand should increase the interest in your work, and set a standard for future releases. By maintaining consistency and professionalism wherever your profile appears, you will continue to appeal to current readers as well as attracting new ones. Your aims: what do you want to achieve by marketing yourself? Your readership: what sets them apart from other writers’ readerships? Competition: which authors do you compare yourself/your work to? Search for books with similar content to your own and ask how you can stand out. Perception: what should your readers think of when they hear your name? What sets you apart from your competition - why should people choose your work? Brainstorm these ideas. This requires a bit of self-discovery, so don’t rush it! Once you’ve done that, start narrowing your brand down. Establish the key points you want to focus on. You need to tailor your brand to a particular audience, and to do this you need to focus and be specific. It is impossible to appeal to everyone, so try not to spread yourself too thin. How do I start creating my own brand? If you have written more than one book (or plan to), think about presenting them in a similar way. Whether in terms of the cover, the layout, the font, the size of the book itself - if you keep these factors related you can strengthen your brand. Current readers will come to expect similar presentation with each new release, and new readers will see that you are an established author with multiple titles. You could print some bookmarks or flyers to hand out at book launches or include with book copies. These should have the basic information for the book and the same cover design. You could create your own logo. This would be particularly effective if your books form a series, as the logo could represent that series or its main character. You could use the logo as a sticker or as part of the cover design itself. Again, this will make it clear that these books are part of a series by the same author. Try to ensure that everything is consistent. If you don’t already have a Facebook and/or Twitter account or your own website, it would be a good idea to set one of these up. As a self-publishing author you need to get yourself out there, and the internet is the best way to do this. Facebook is useful for creating fan pages dedicated to your work, while Twitter allows you to interact with followers directly and gives you a wider reach. Setting up your own website or blog is great, particularly if you already have a Facebook or Twitter account, as you can sync them and gain more blog readers. When setting these pages up, try to be approachable but professional. Keep your personal information brief and to the point, focusing on the key points you established in your brainstorm - try not to stray too far from these as readers may start to be misled about your brand. Establishing goals is useful with social media, whether that means the number of followers you want to gain, how many posts you put up in a week or how often you interact with followers. This will help to motivate you and encourage you to use your page more often. If you create multiple pages or accounts, make sure they are consistent. Keeping the colour, font and layout similar will show that the accounts all belong to the same person and make your work look polished. Always use the same symbols or logos as those on the book itself. Lee Child has an extremely dedicated and loyal following - the strongest of any bestselling author. He claims that this is down to his books forming a series, resulting in a consistent character and a standard of expectation for readers. The protagonist in his books, Jack Reacher, has a cult following of his own, as Child repeatedly delivers similar traits and dialogue which he knows his readers enjoy. Similarly, non-fiction food writers such as Jamie Oliver or Nigella Lawson have built successful brands based on the particular styles and recipes they create, as well as their own unique personalities. Jamie Oliver appeals to the younger market through his often cheap and simple meals, while Nigella attracts an older, sophisticated audience by using expensive ingredients and more indulgent dishes. In terms of their personalities, Jamie is known for being laid-back and wearing colourful shirts, while Nigella is the epitome of the attractive middle class 'yummy mummy’. Most mainstream authors have successful brands - for instance, hearing the names John Grisham or Stephen King will suggest particular types of books or writing characteristics. It is important that your brand is unique to you, and makes readers think of the individual traits that make your writing yours. Use the examples set by other authors, but don’t compare yourself to them or compete with them; this is your book, not anyone else’s.